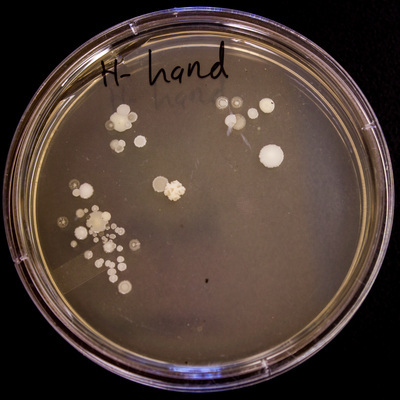 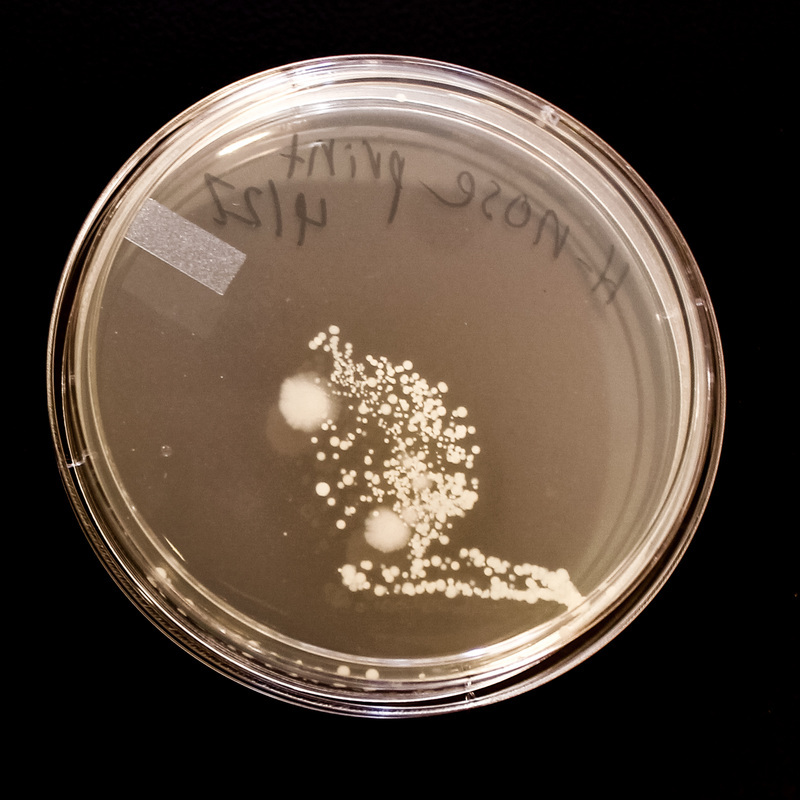 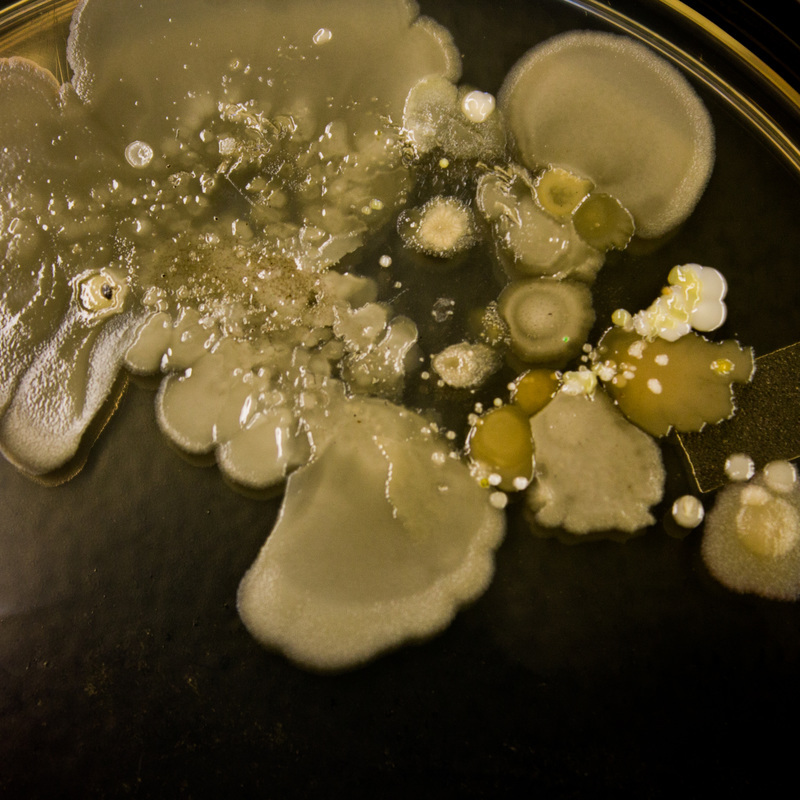 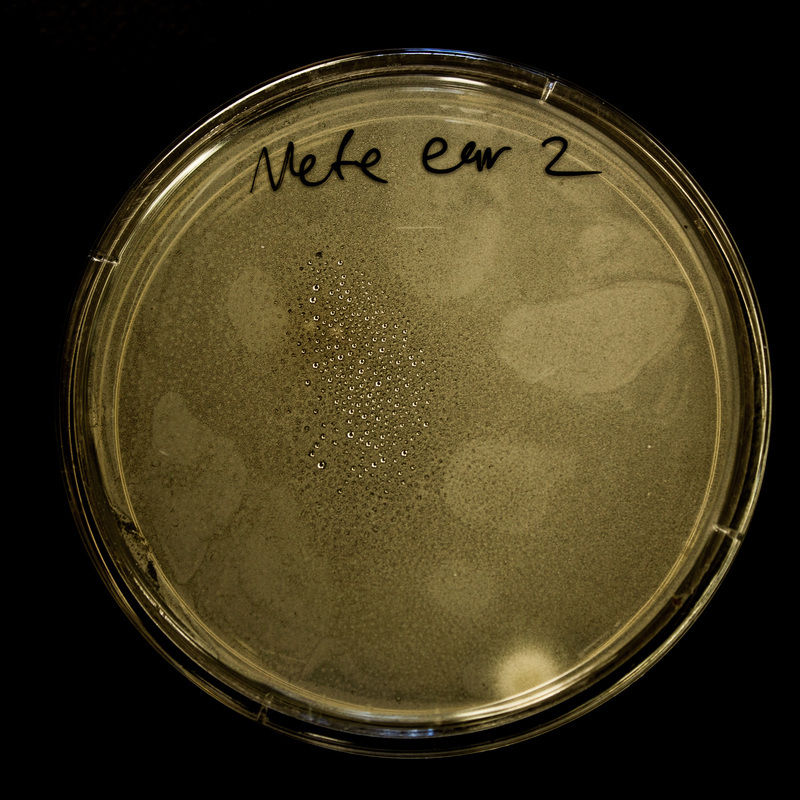 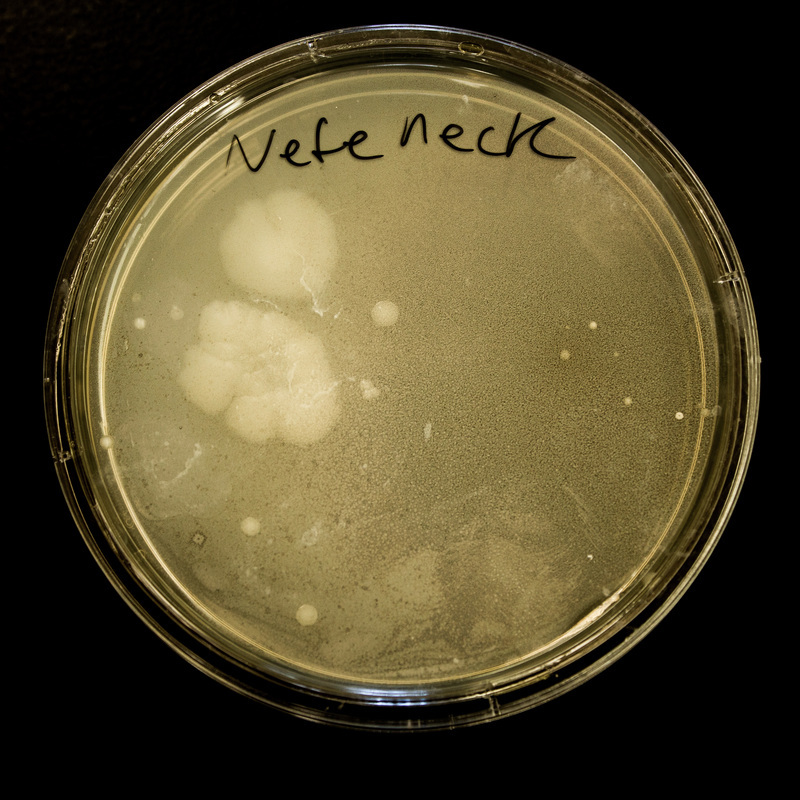 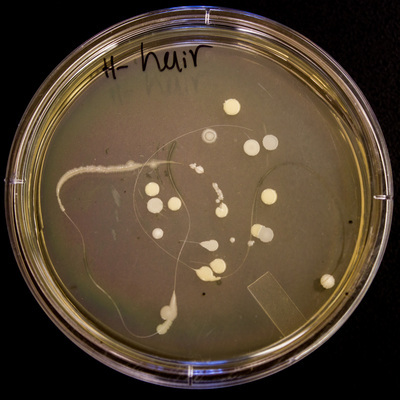 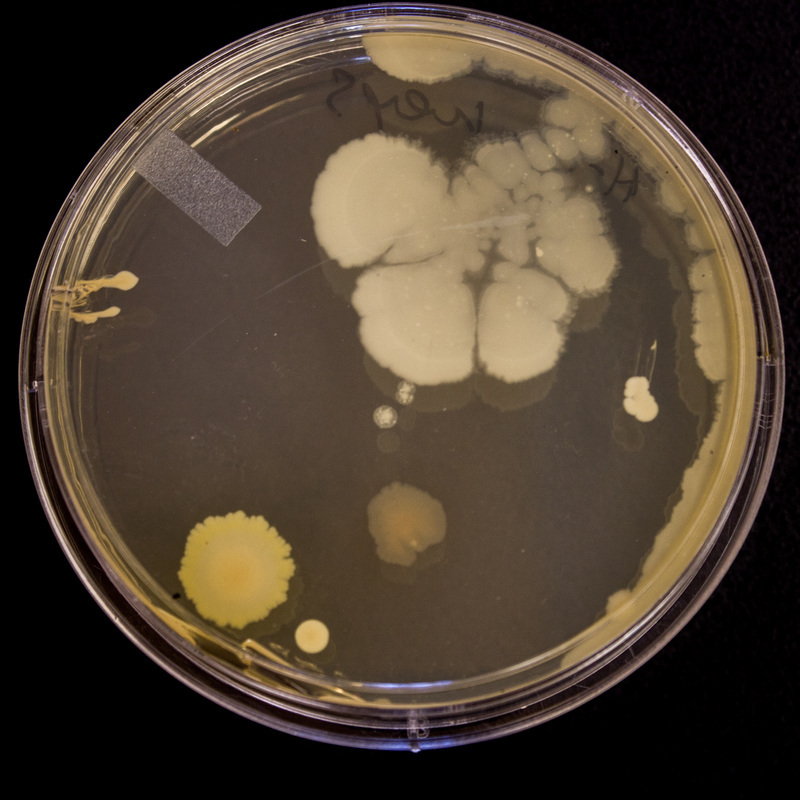 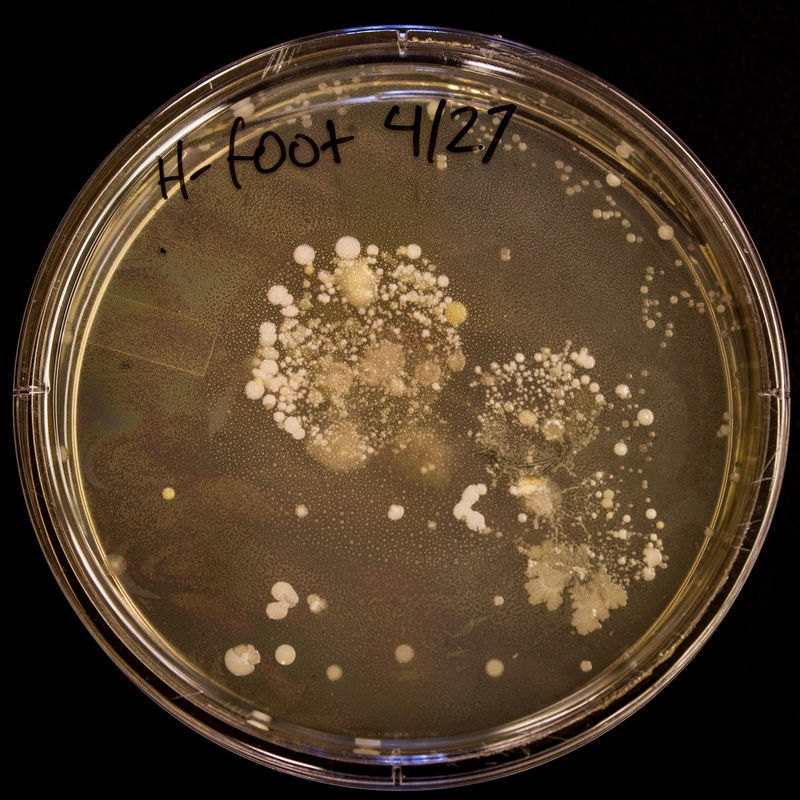 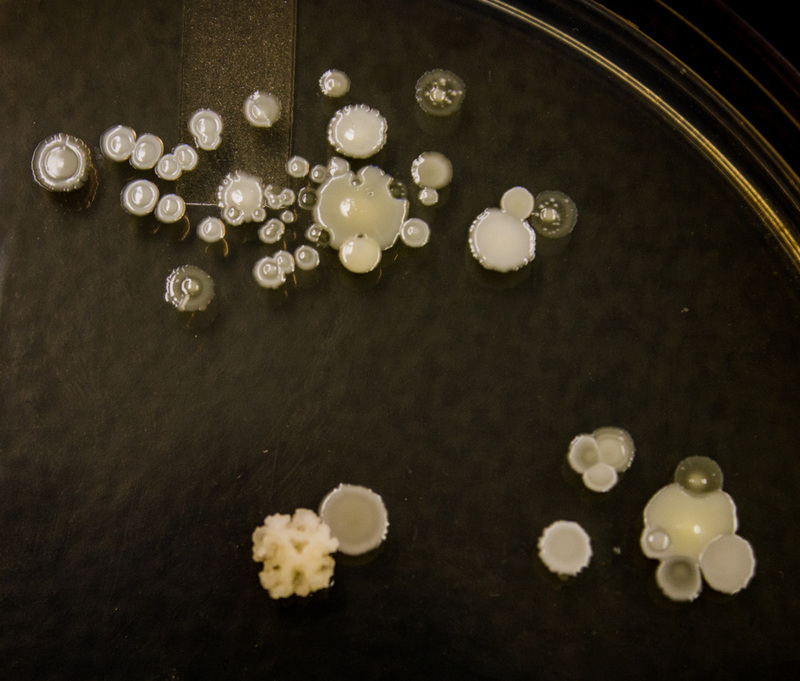 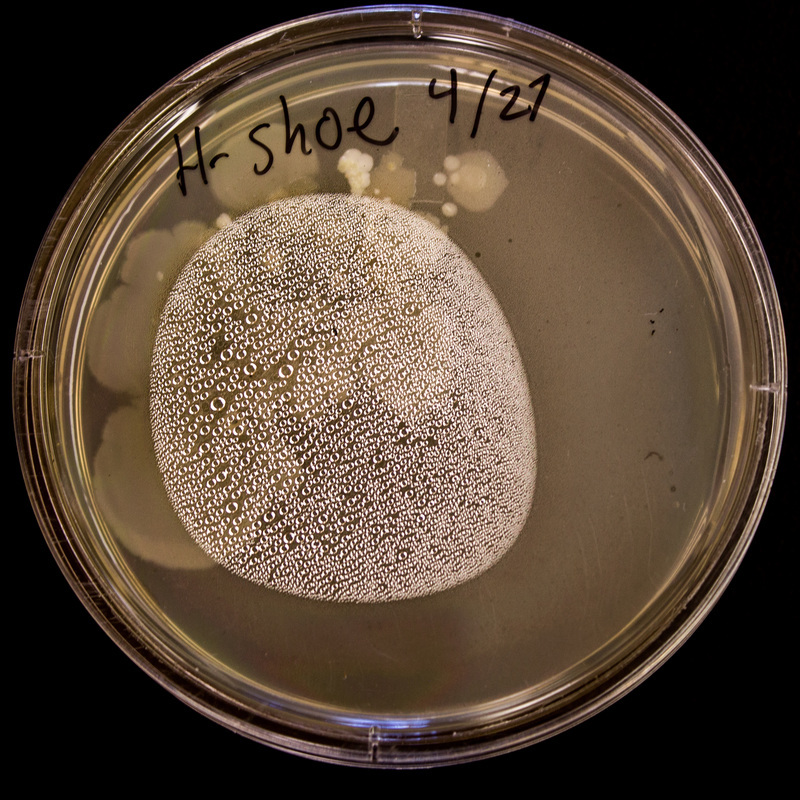 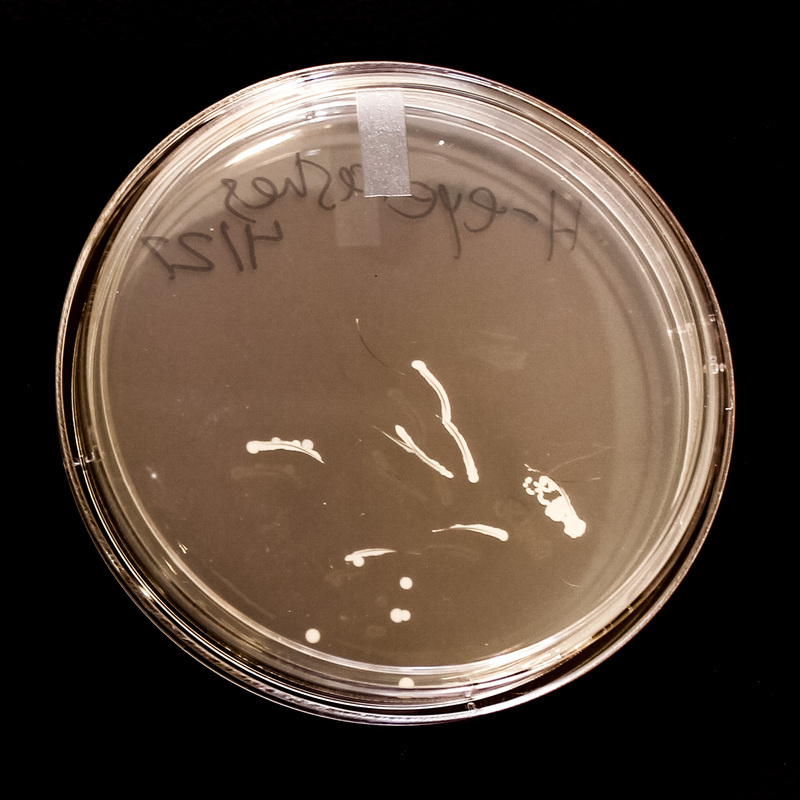 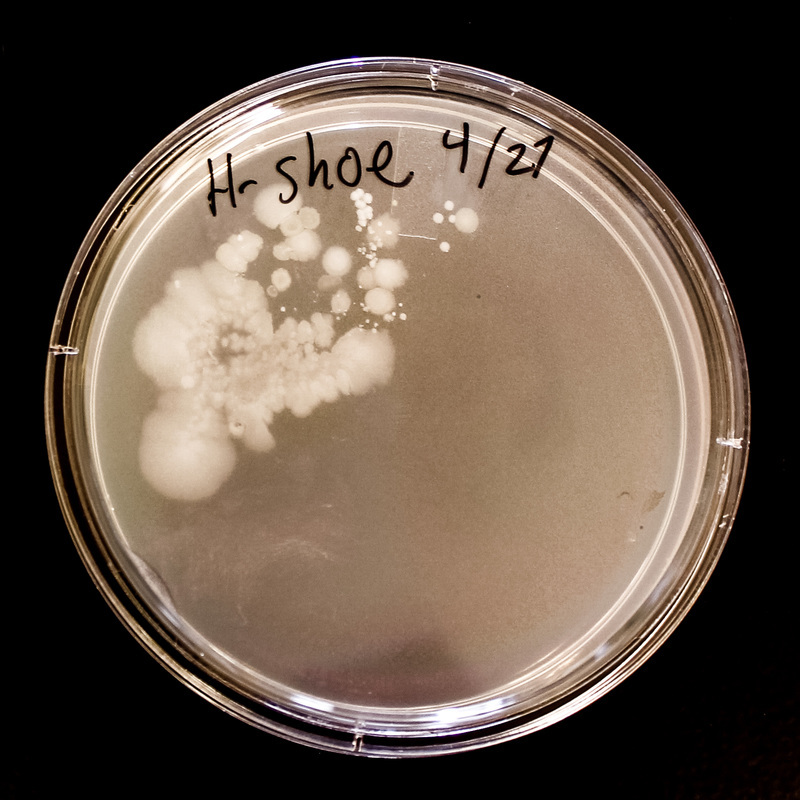 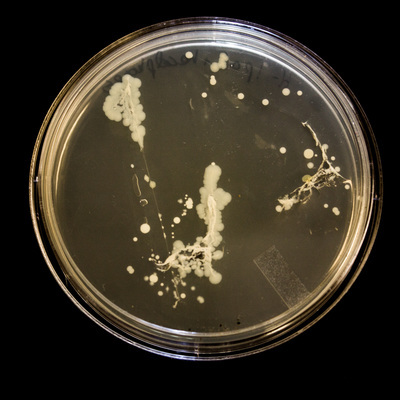 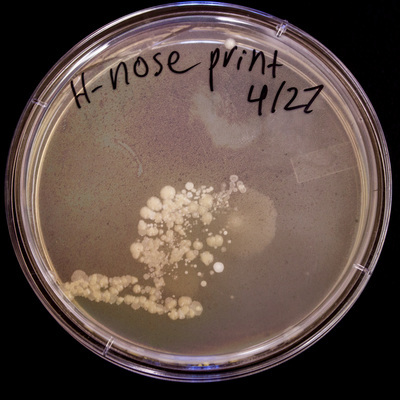 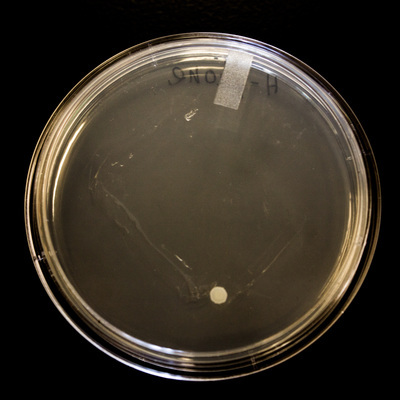 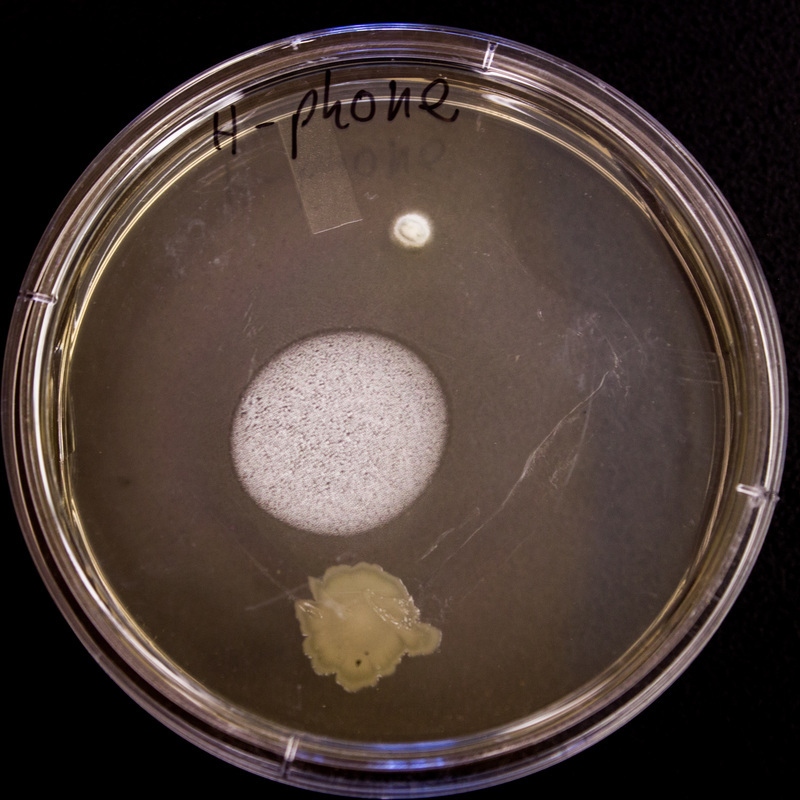 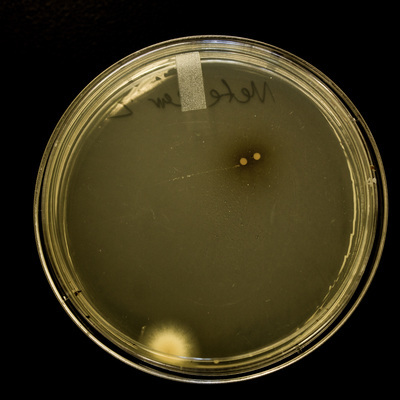 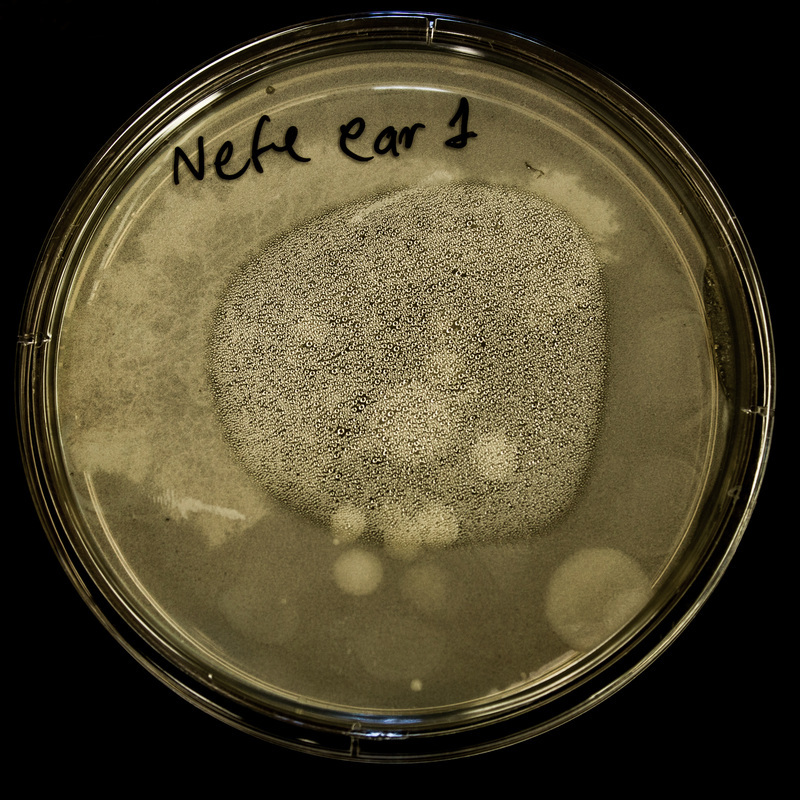 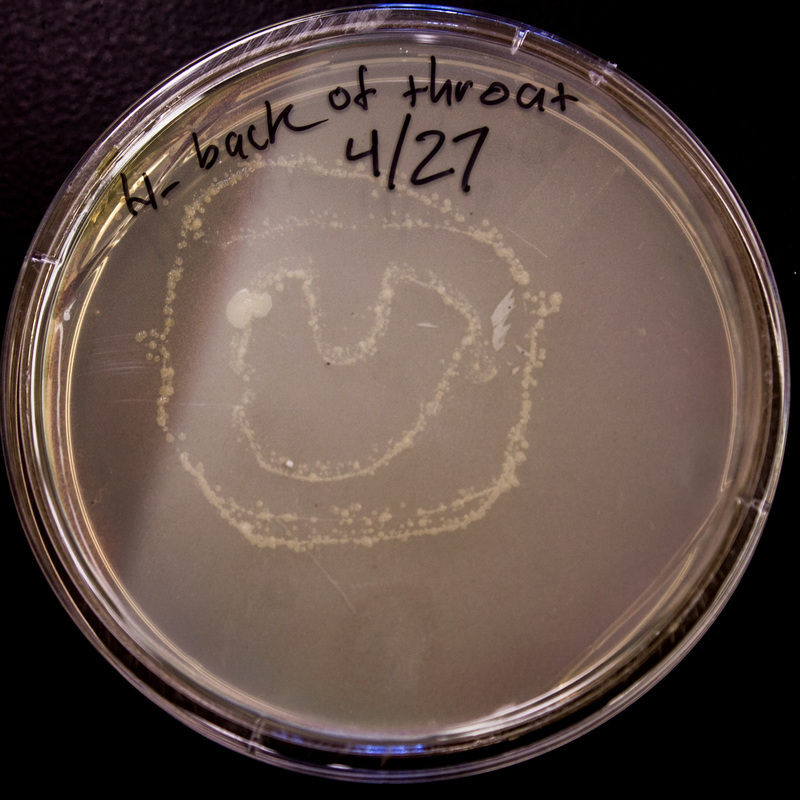 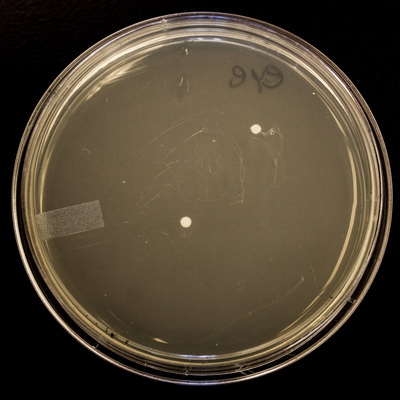 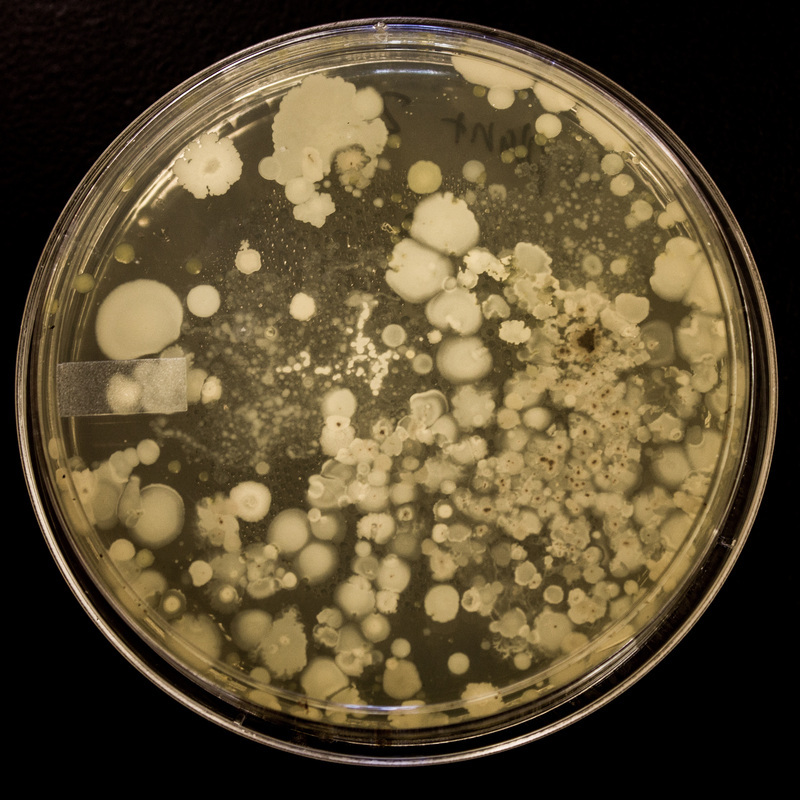 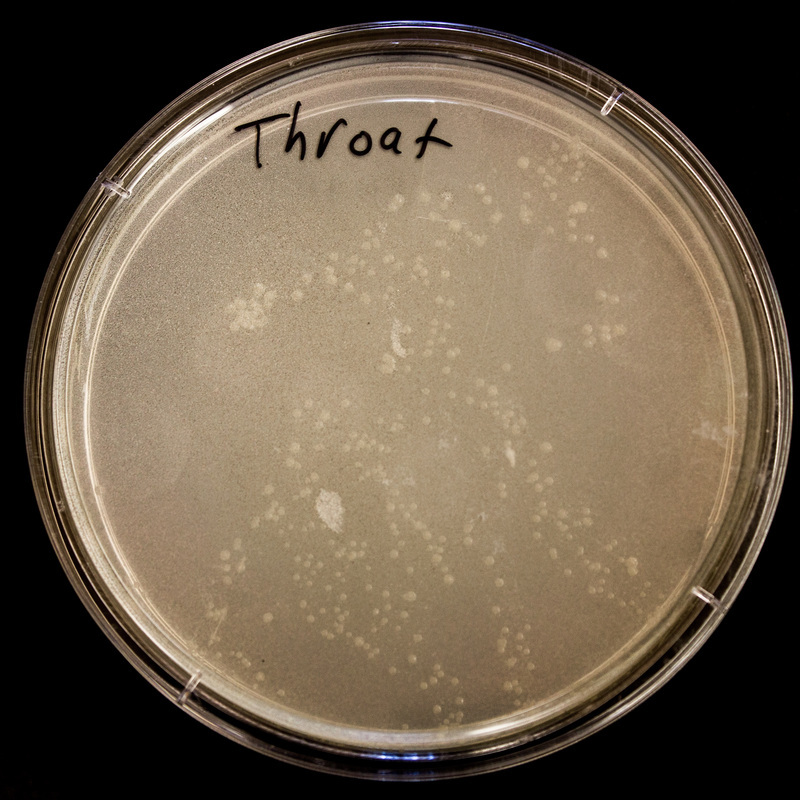 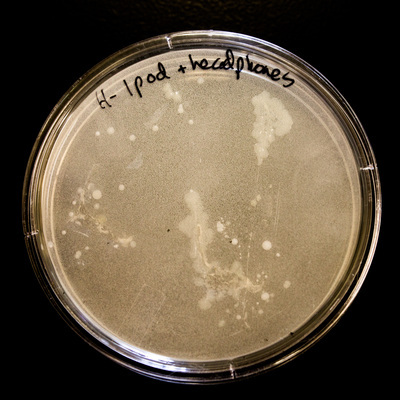 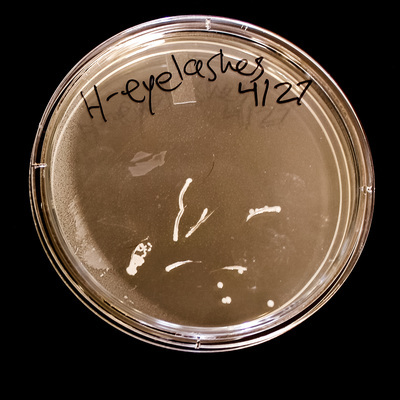 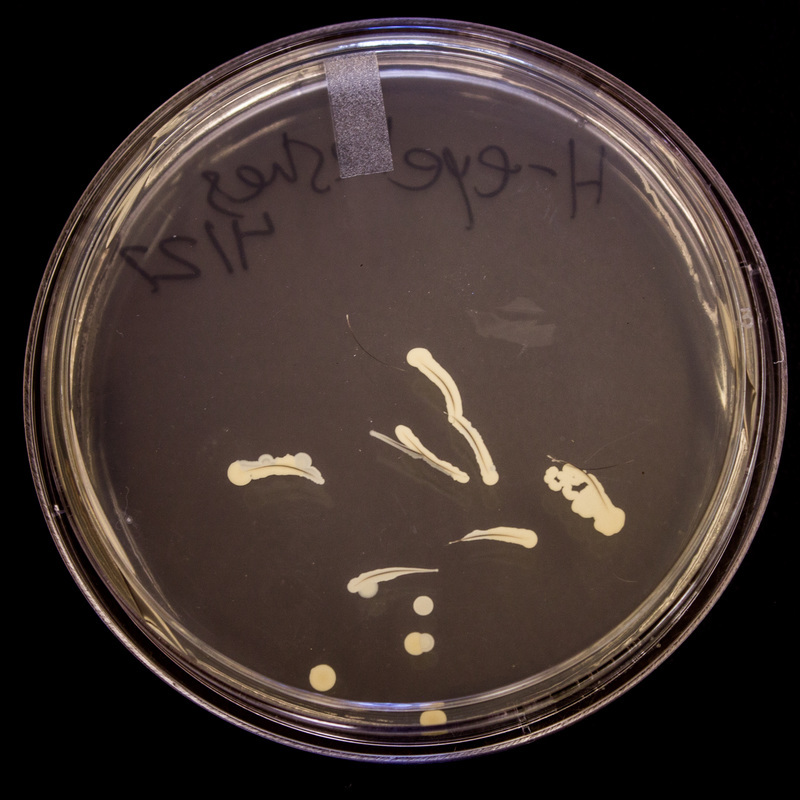 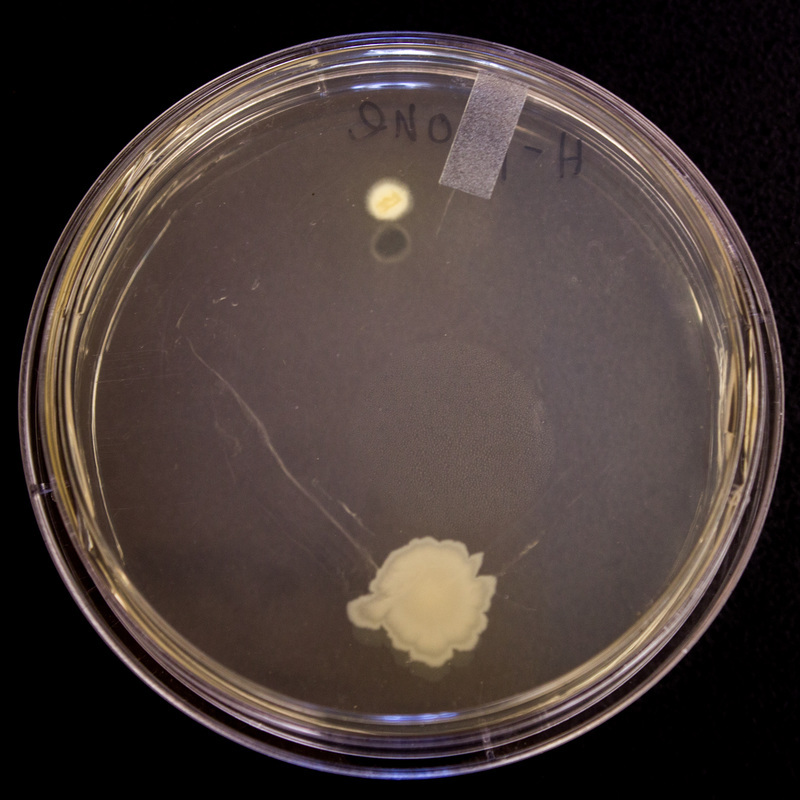 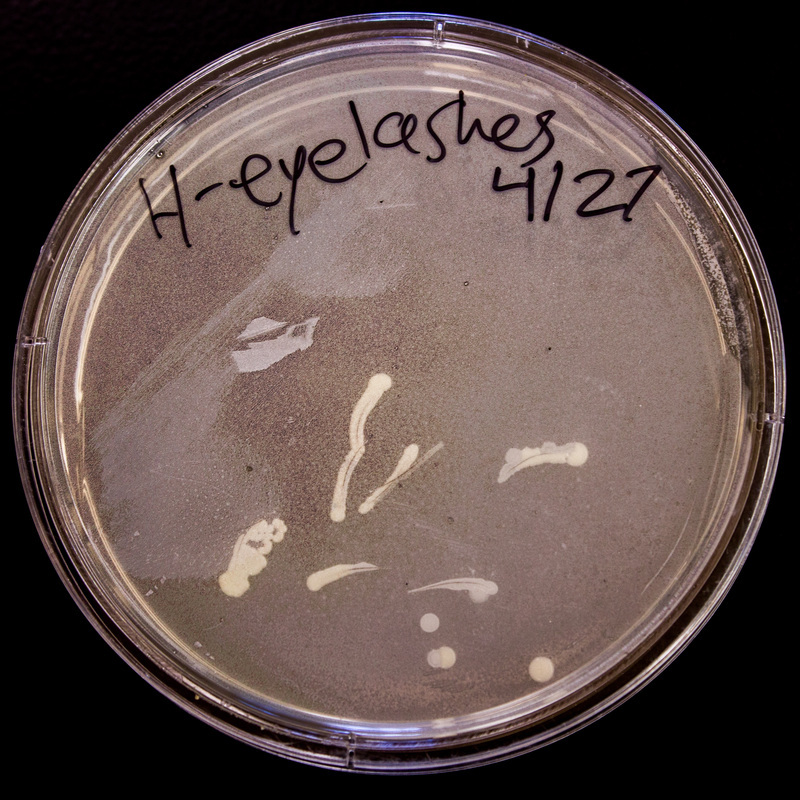 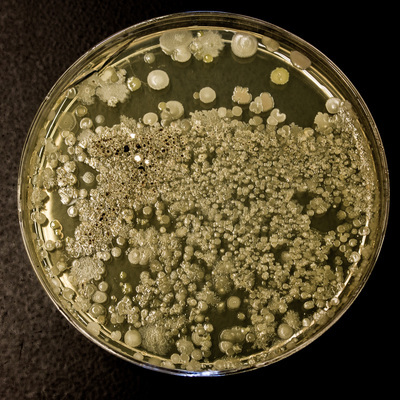 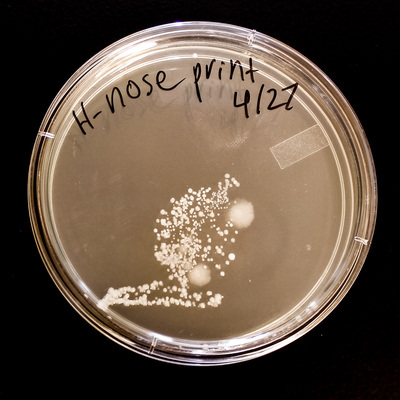 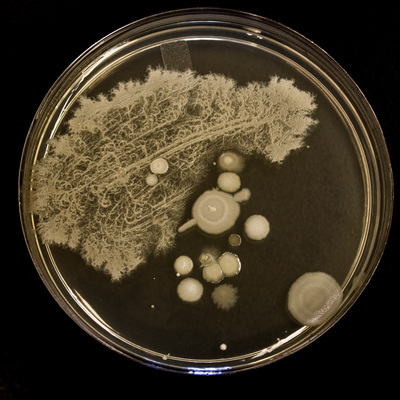 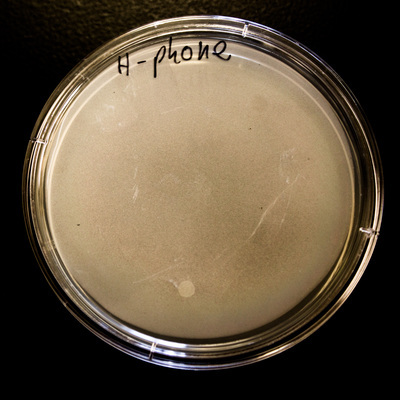 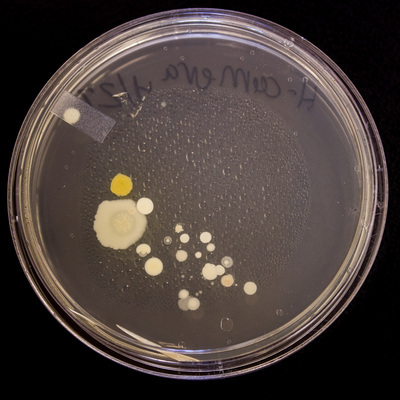 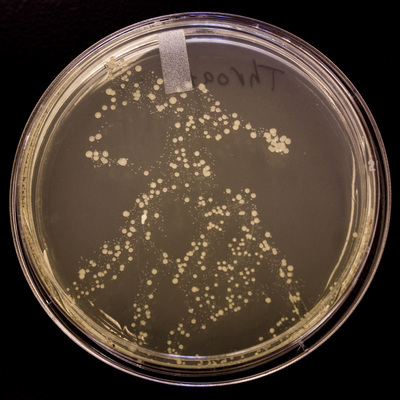 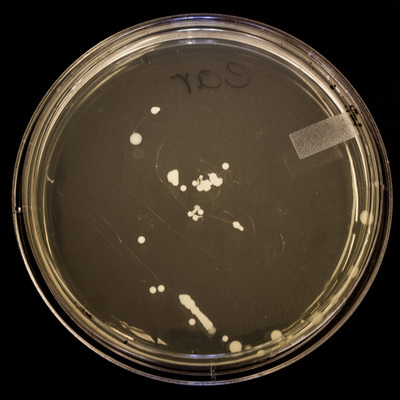 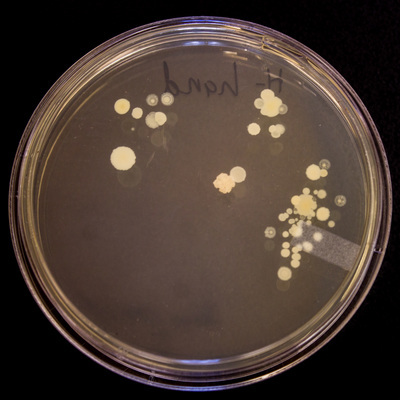 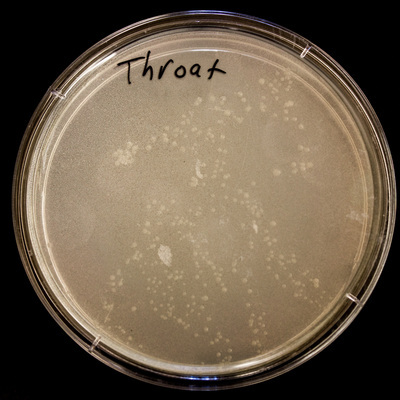 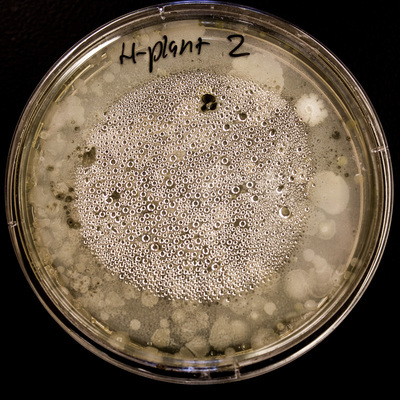 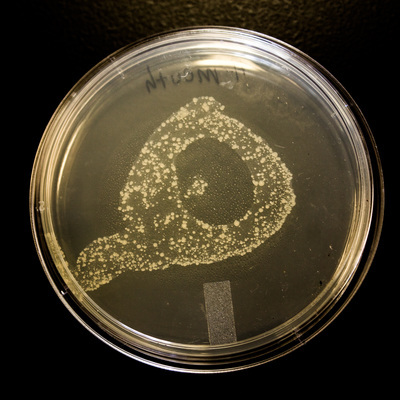 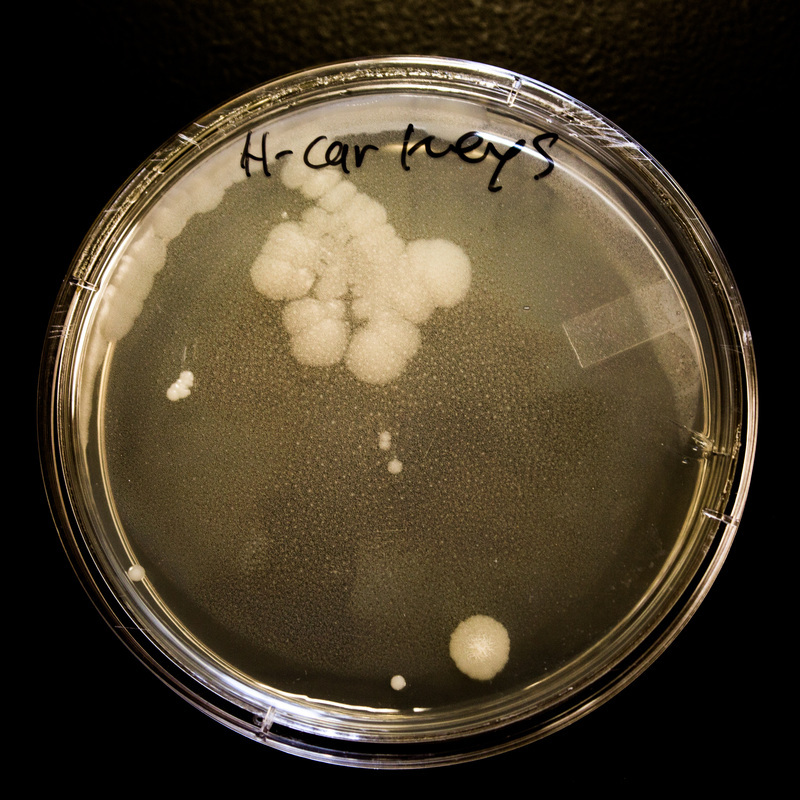 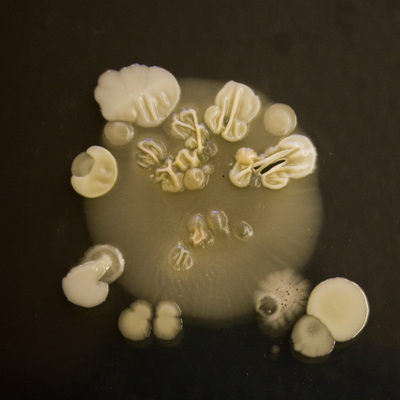 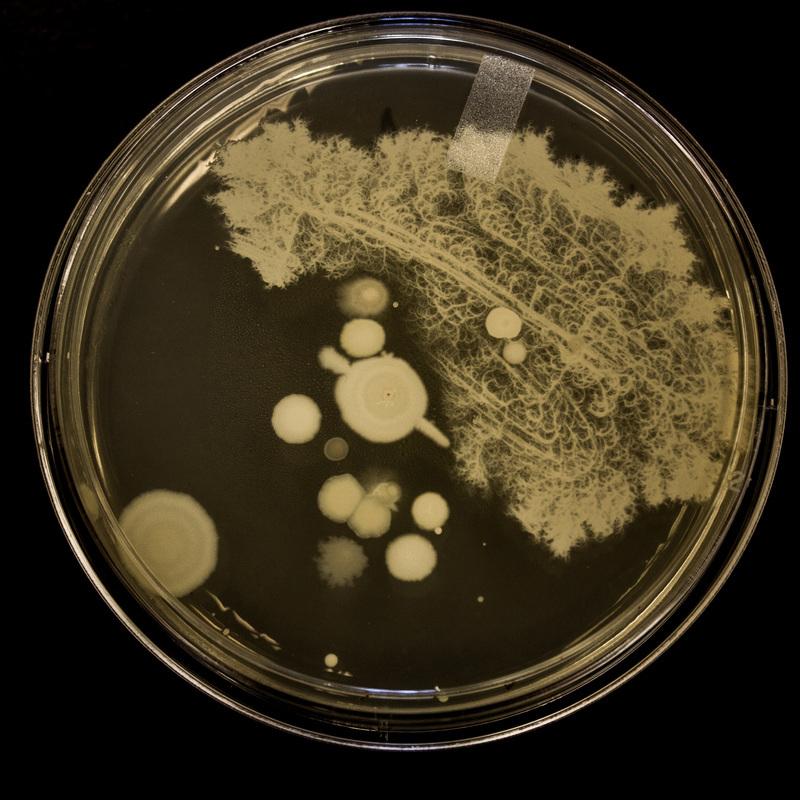 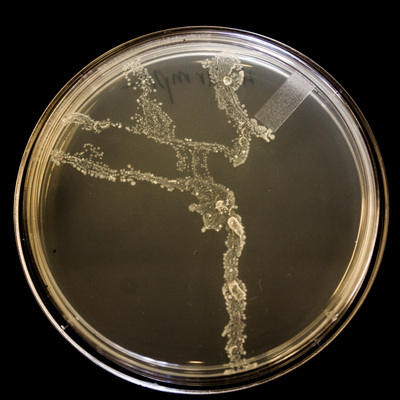 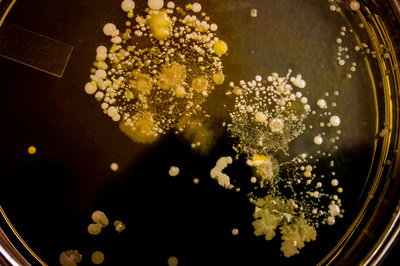 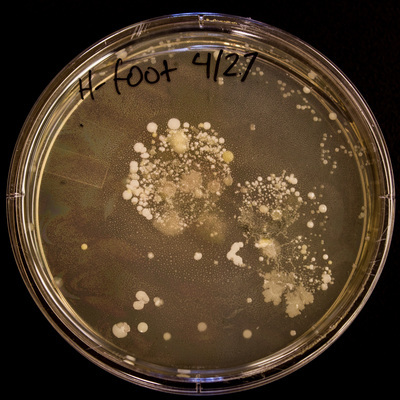 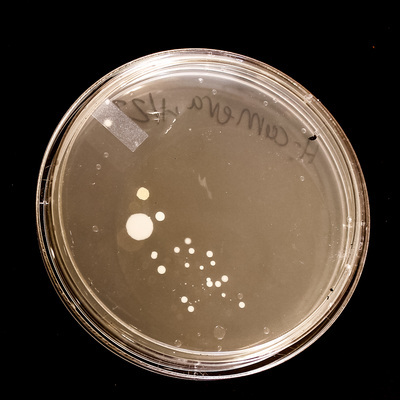 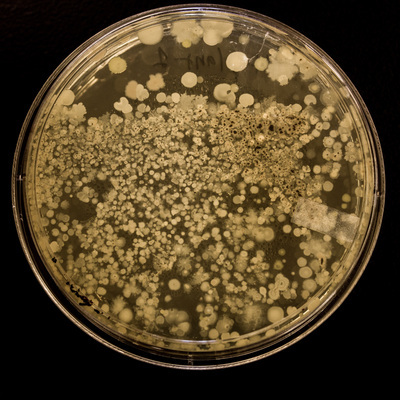 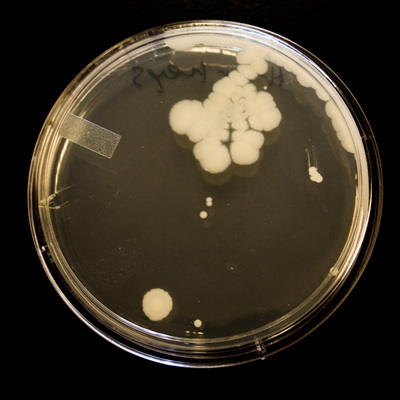 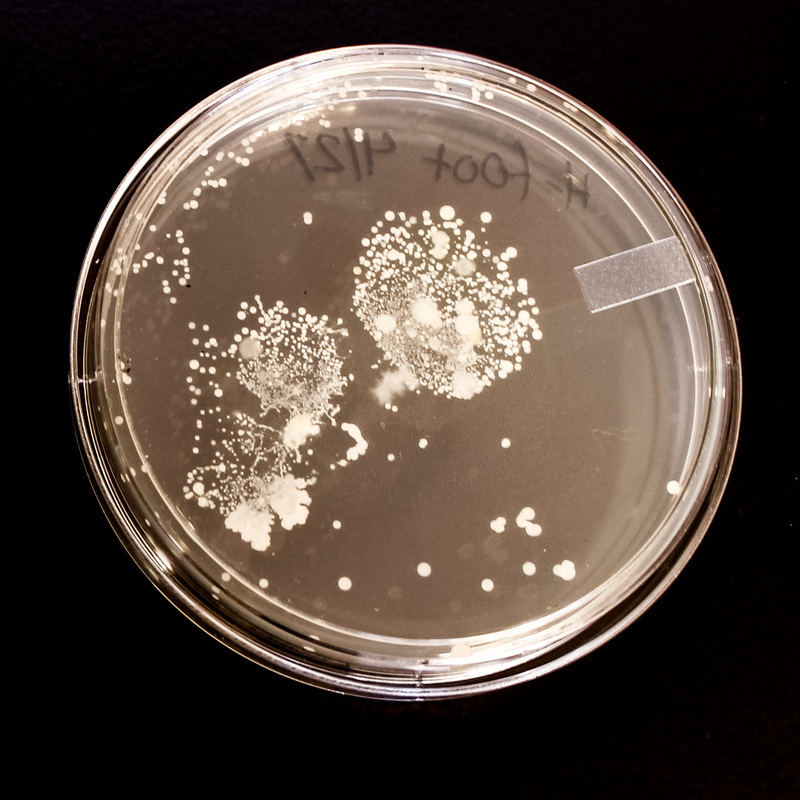 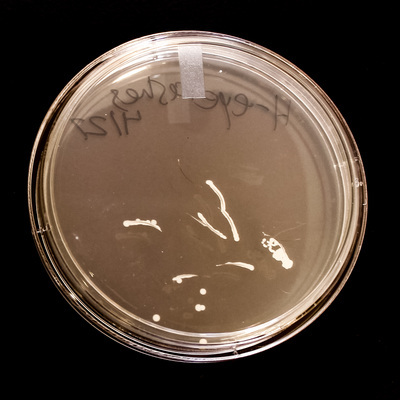 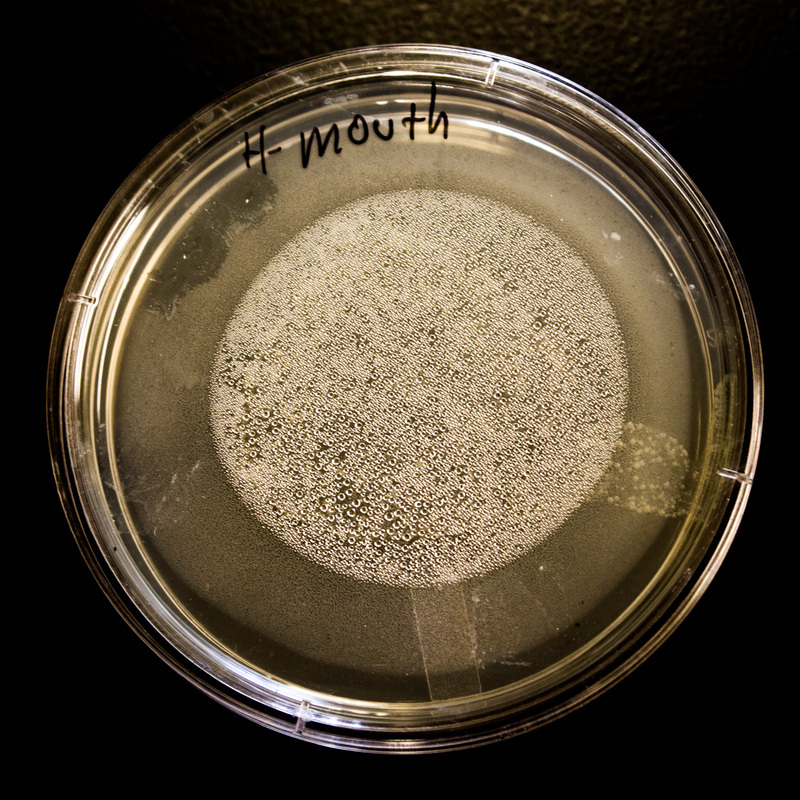 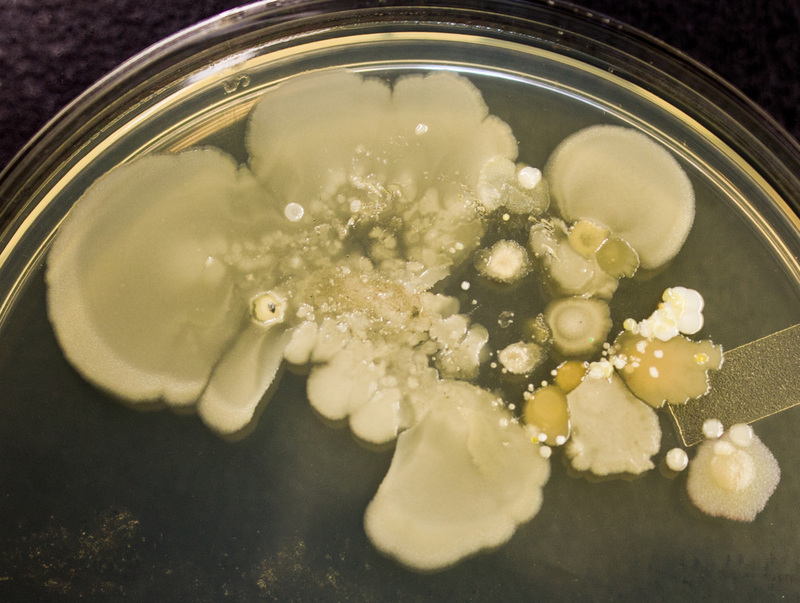 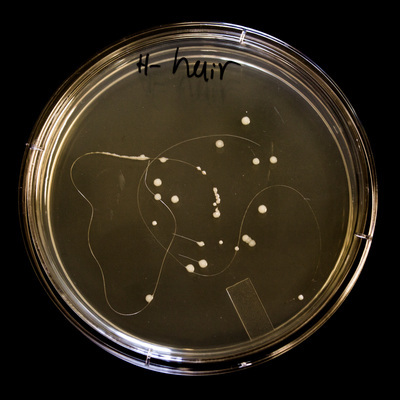 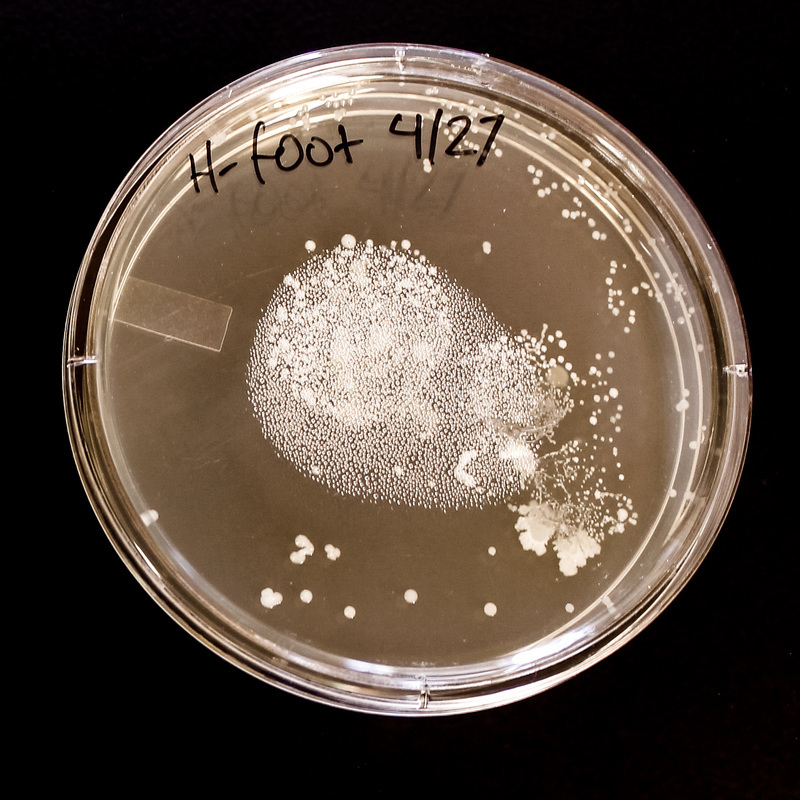 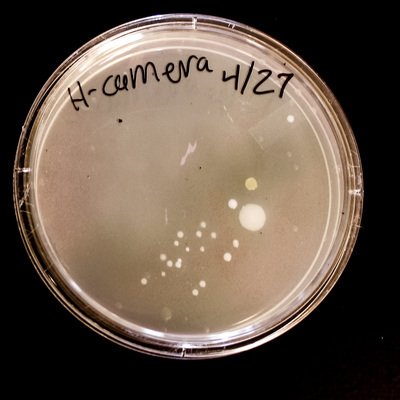 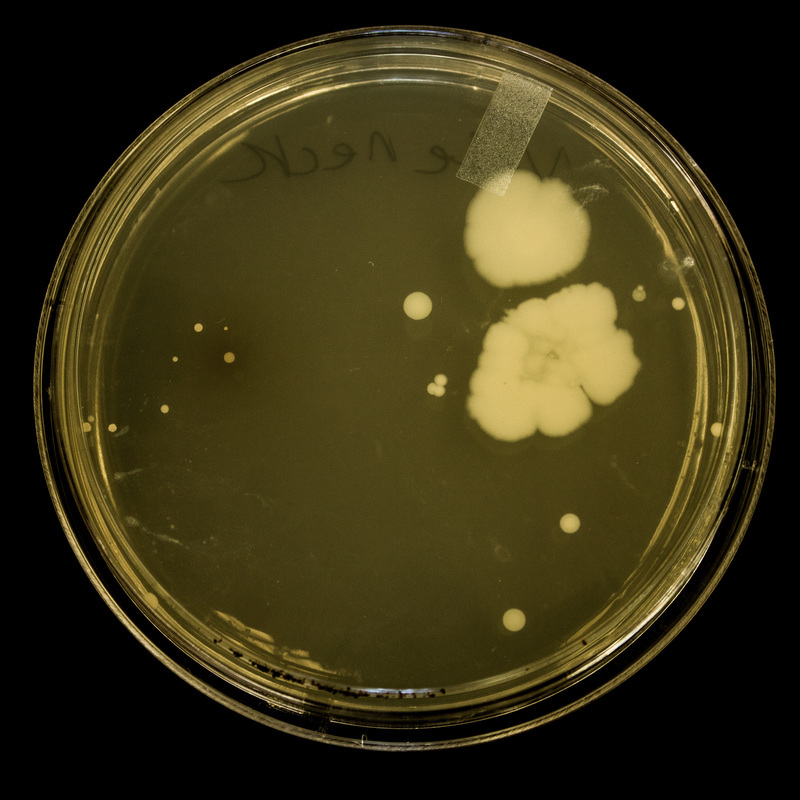 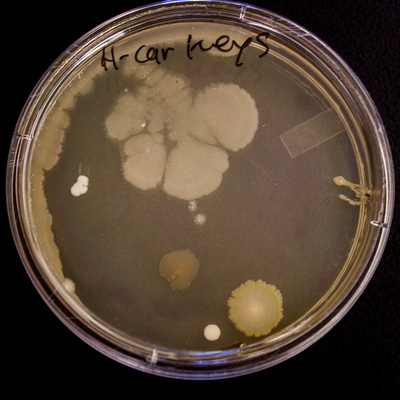 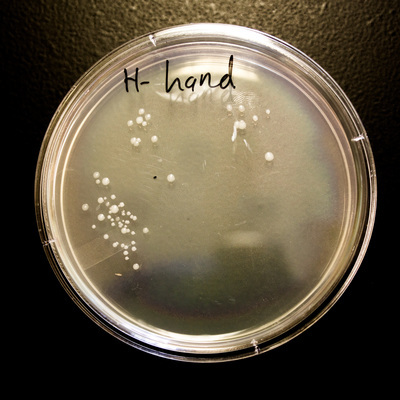 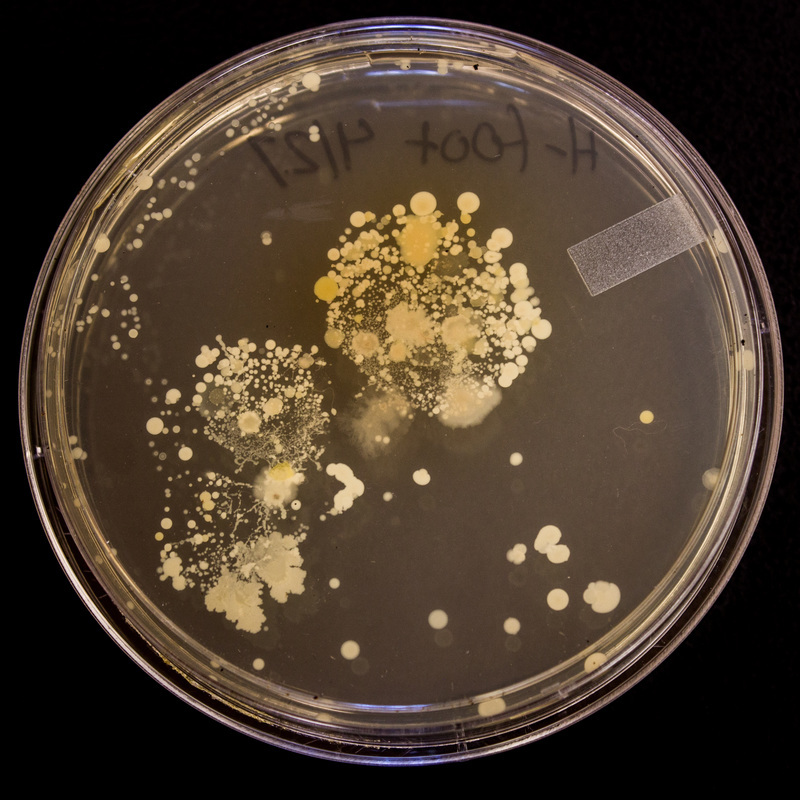 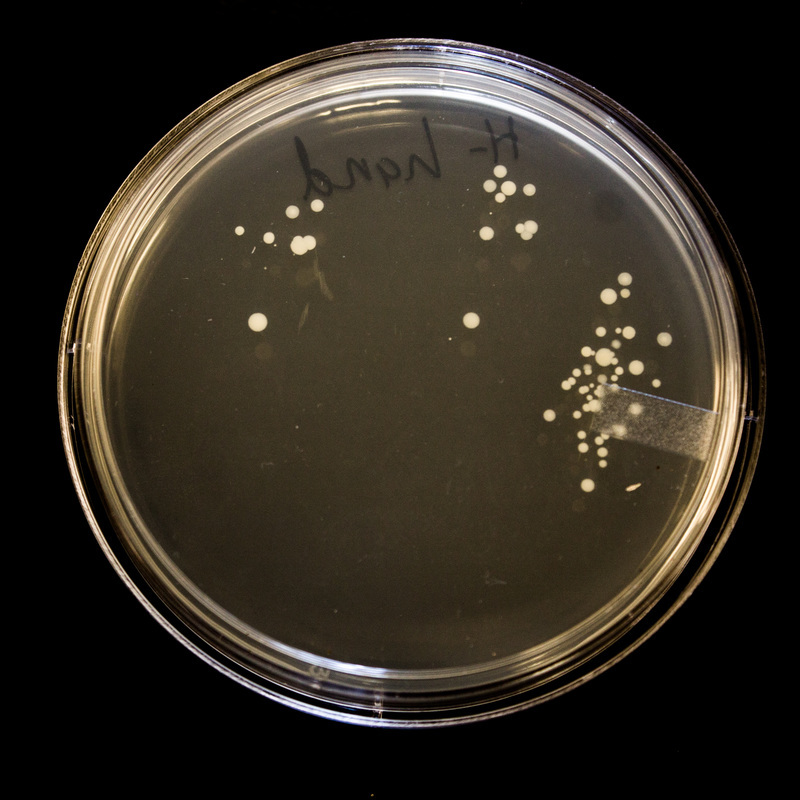 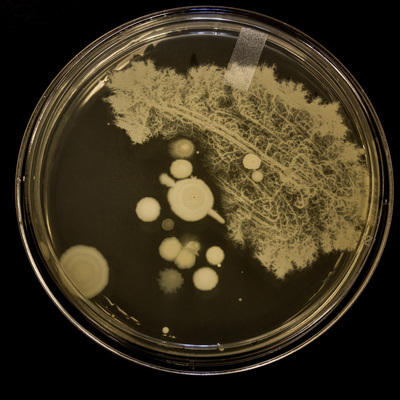 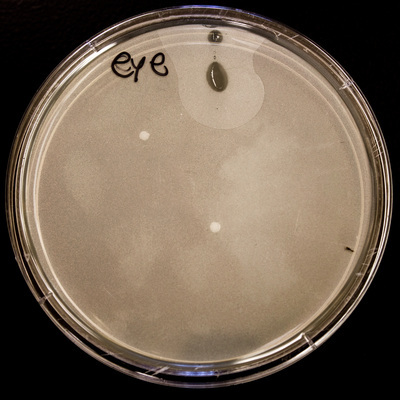 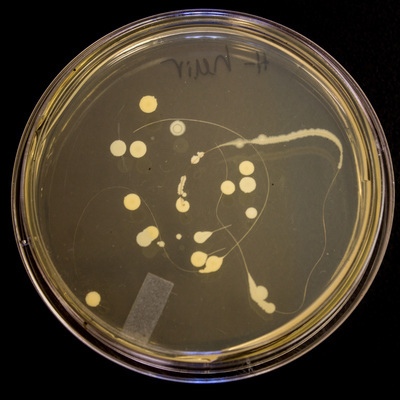 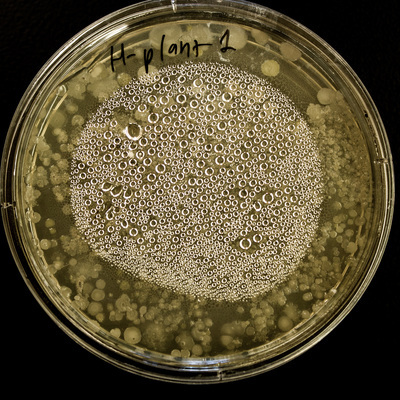 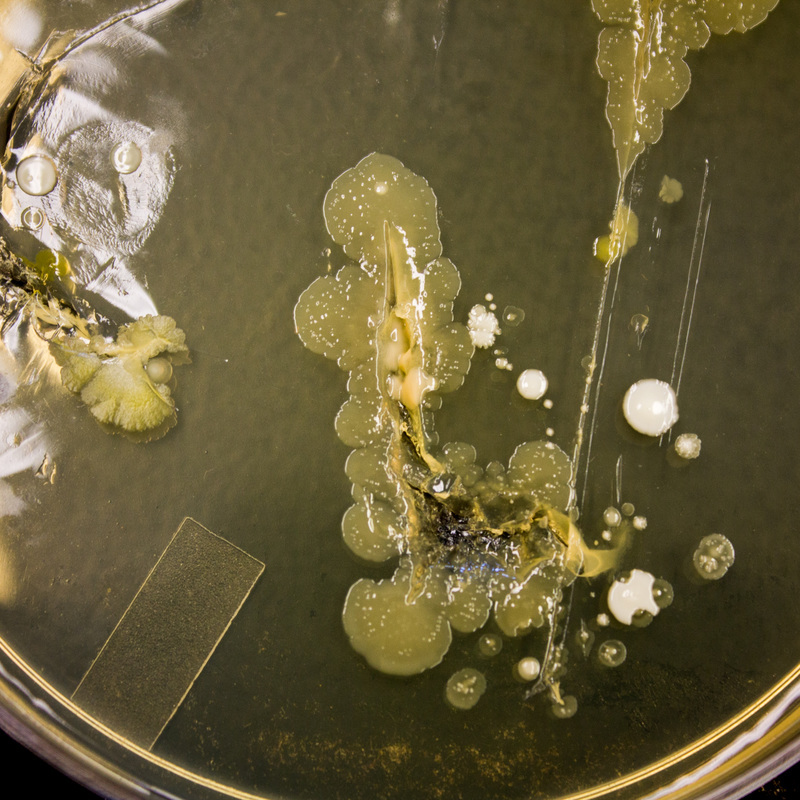 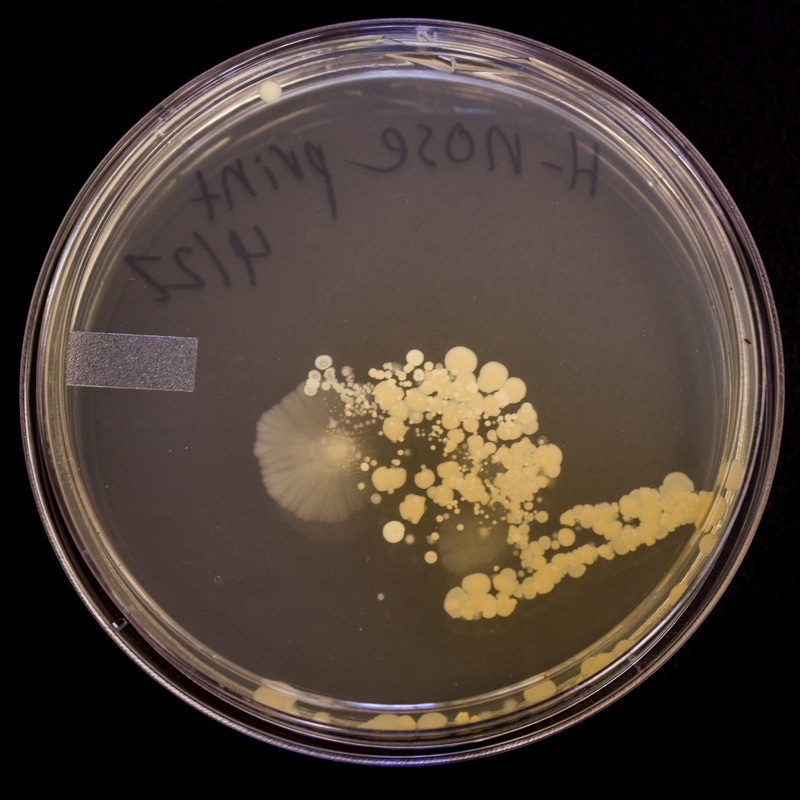 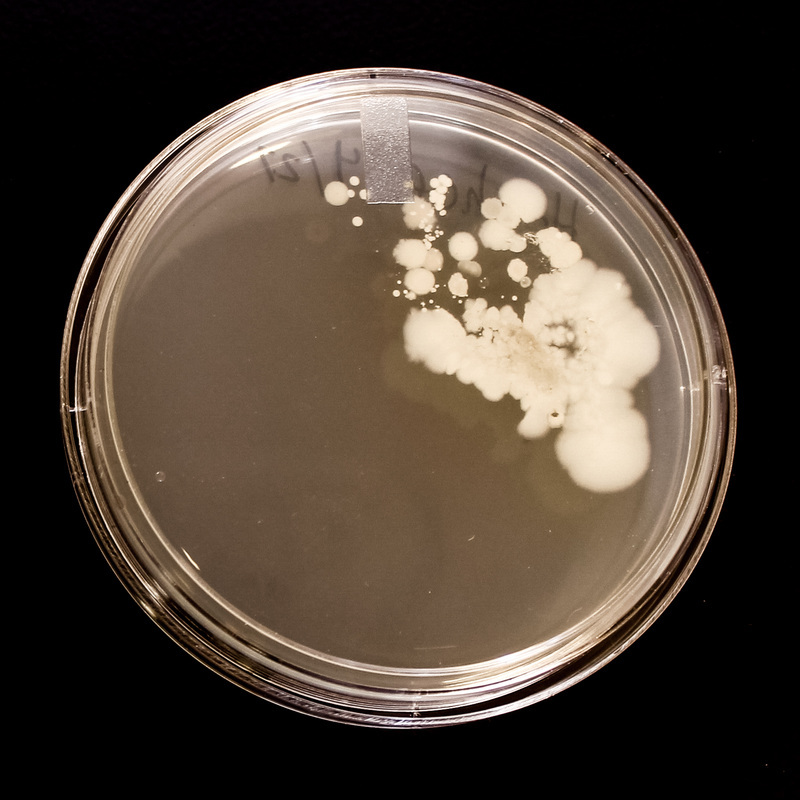 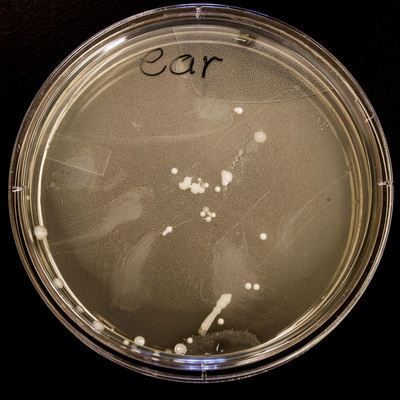 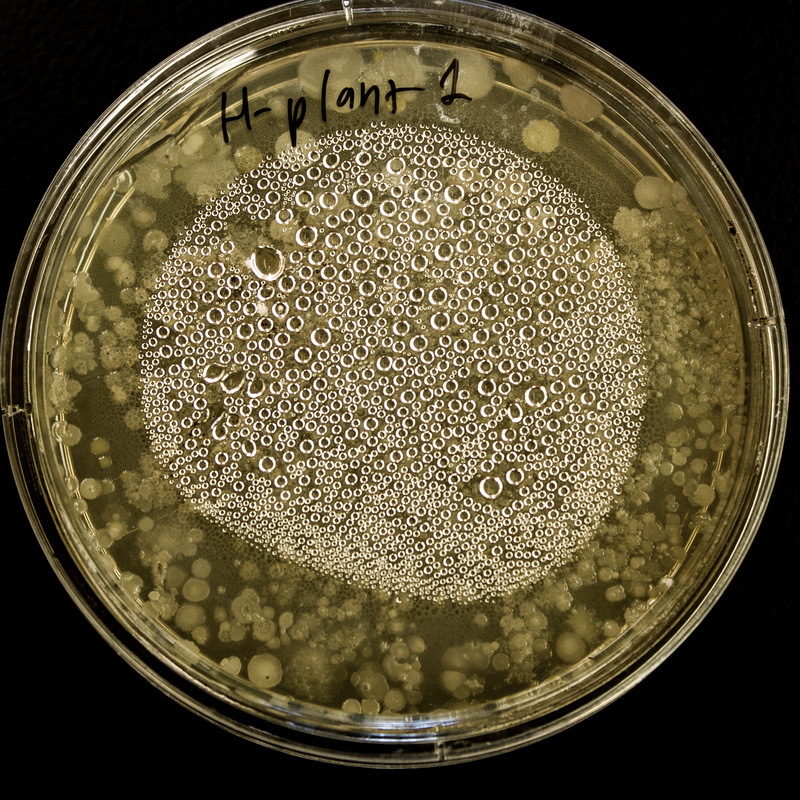 Working with Dr. Smith, a Molecular Biologist and professor at Virginia Commonwealth University, I have been growing bacteria, with a focus on personal possessions and areas from my body. 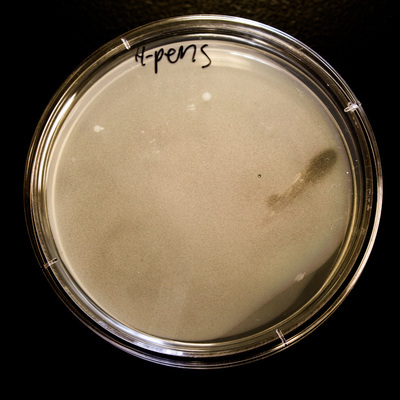 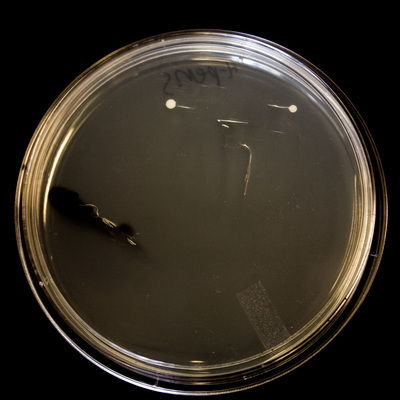 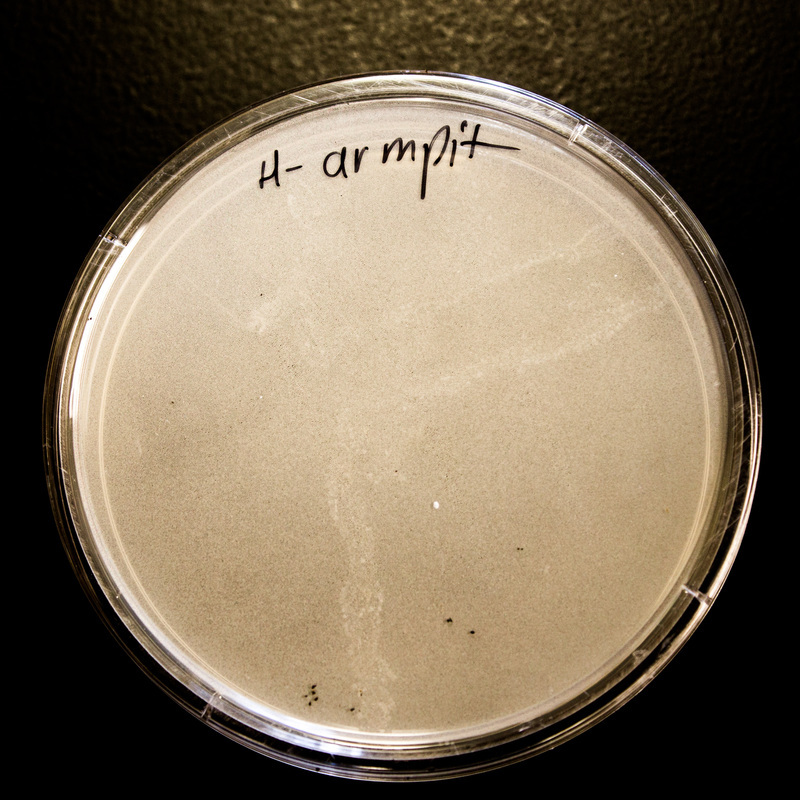 All bacteria is prepared on agar plates, and allowed to grow in a dark drying oven. After being photographed, I am overlaying the images of the cultures onto photos of their origin. 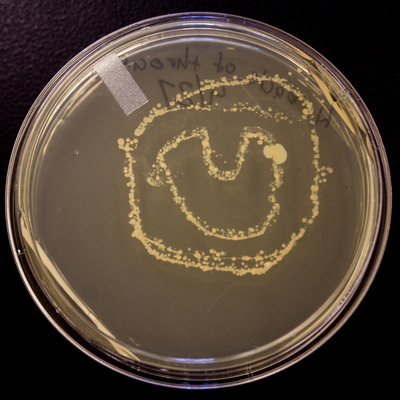 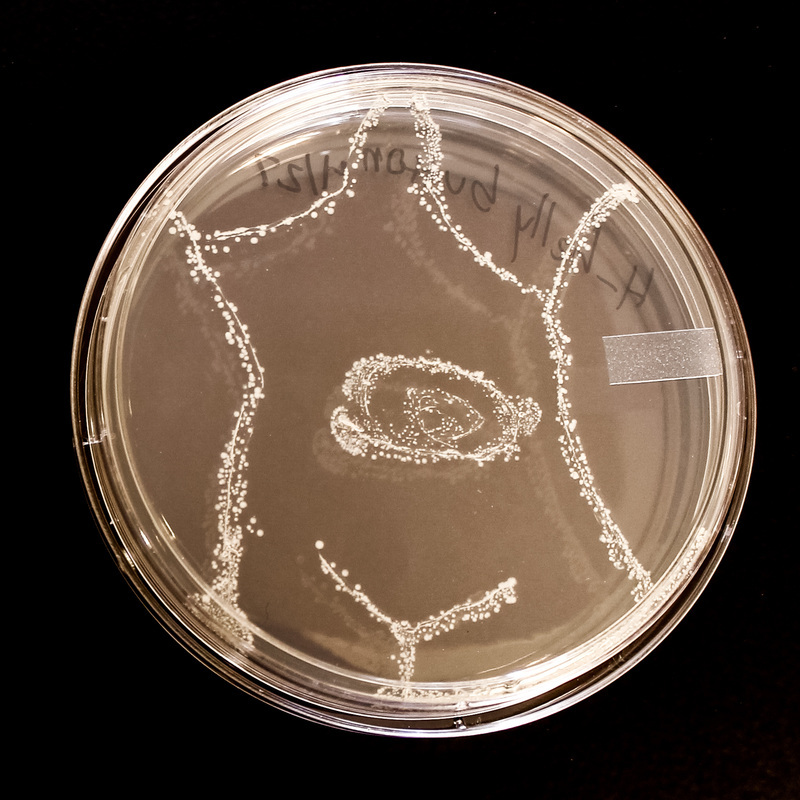 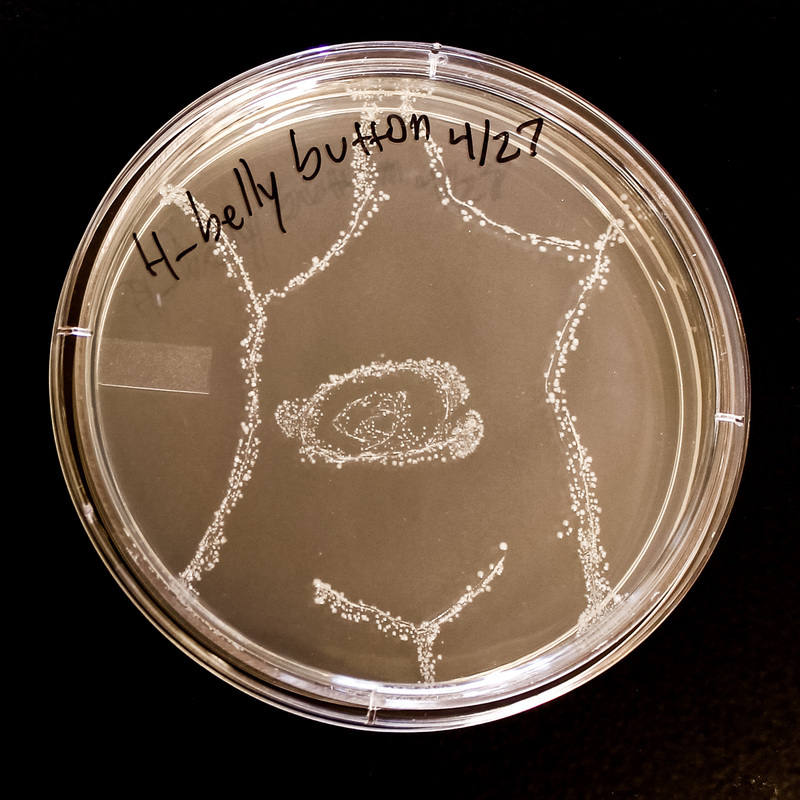 Some are 'drawn', some are blobs, but all are from the surfaces they originated on as invisible, much less numerous bacteria. This project ran from April - June 2016.